The Samsung Galaxy Nexus is a fine handset - but will you pay the premium? The new Galaxy Nexus phone is here. And sporting Android 4.0 Ice Cream Sandwich, it's the very definition of high end. So it's high time we stack it up against its key rivals including the iPhone 4S but also the older HTC Sensation and Samsung Galaxy S2. Which is your next handset? The iPhone 4S runs iOS 5, while the new Galaxy Nexus runs pure Android 4.0. The HTC Sensation ships with Android 2.3 Gingerbread, although HTC has also stuck the latest generation of its Sense user interface on top - just like Samsung, whose handset also runs Gingerbread but with TouchWiz 4.0 on top. The heart of the HTC Sensation is a nippy, dual-core Snapdragon processor with a rated speed of 1.2GHz. The Galaxy S2 and Galaxy Nexus both rock 1.2GHz dual-core chips too, but while the S2's is based upon Samsung's own Exynos 4210 system-on-chip (SoC) tech, the Galaxy Nexus has a Texas Instruments OMAP 4460 chipset. Apple's A5 now looks the poor relation of the bunch, despite being a powerful 1GHz dual-core chip. Both the HTC Sensation and Samsung Galaxy S2 boast 4.3-inch touchscreens, displaying 960 x 540 aand480 x 800 resolutions respectively, but they're different display technologies: the HTC uses an S-LCD, while Samsung has plumped for an extremely bright Super AMOLED Plus display. The Galaxy Nexus ups the ante in terms of size, with a 4.65-inch screen, but it's Super AMOLED rather than the better Super AMOLED Plus tech. The iPhone 4S screen is smaller but densely packed: its Retina Display means the 3.5-inch screen has a resolution of 960 x 640 - with a pixel density of around 330ppi. The Galaxy Nexus has 720p HD resolution - that's 1,280 x 720 pixels - around 316ppi on the larger screen. The Sensation comes with 1GB (or 4GB according to Vodafone) of on-board storage, expandable via MicroSD memory cards, while the iPhone 4S, Galaxy Nexus and Samsung Galaxy S2 come with two larger choices of internal storage: 16GB and 32GB. The Galaxy S2 also has a MicroSD slot, but the iPhone 4S and Galaxy Nexus don't. The iPhone 4S is the worst off here, with just 512MB of RAM compared to the HTC's 768MB and the 1GB of both the Samsung handsets. 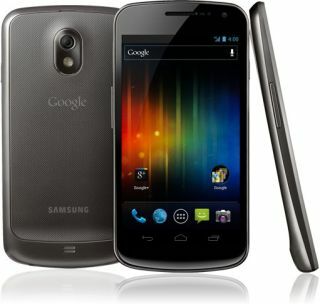 The Galaxy Nexus' 5-megapixel camera looks terrible in this context: the iPhone 4S, HTC Sensation and Galaxy S2 offer 8 megapixels. All the handsets can shoot 30fps 1080p HD video, can geotag your pictures, include LED flashes (dual in the case of the Sensation and Galaxy S2) and have front-facing cameras for video chat. All have touch focus and face detection. There are some great improvements in how images are handled in Android 4.0. All four phones are quad-band phones with 3G/HSDPA and Wi-Fi, and all three support Bluetooth A2DP for wireless stereo. There's an LTE version of the Galaxy Nexus for the US, while the handset also supports CDMA. There are different versions of Bluetooth here, however: both HTC and Samsung offer Bluetooth 3.0, while the iPhone 4S features Bluetooth 4.0. All four phones support HDMI output - the HTC and Samsungs via their MicroUSB ports, the Apple via its 32-pin Dock connector - via adaptors, and the HTC Sensation and Samsung Galaxy S2 and Nexus are DLNA compatible for wireless streaming of video to compatible TVs and computers. The iPhone 4S has Apple's own AirPlay streaming system (including 720p AirPlay Mirroring to Apple TV), which enables wireless audio and video streaming to Apple TVs and a growing number of AirPlay-compatible home entertainment devices. The Samsung Galaxy S 2 has an NFC model, while the Galaxy Nexus supports NFC on all variants. All the Android phones also have an FM radio. The iPhone 4S is the smallest phone here by some margin: it's 115mm x 59mm compared to 125mm x 66mm for the Samsung Galaxy S2, 135 x 68mm for the Galaxy Nexus (the biggest) and 126mm x 65mm for the HTC Sensation. That all-glass body means its small size doesn't mean its lightweight, however: the Galaxy S II is the lightest handset here at a positively titchy 119g, with the iPhone 4 weighing in at 137g and the HTC Sensation 148g. The Galaxy Nexus is in the middle at 135g. As with all smartphones you should take official battery times with a pinch of salt - hours of talk time are all very well until you switch to a location-aware app and watch the battery indicator vanish like sand in an hourglass - but all three handsets promise ridiculously long standby times and decent talktime too. The iPhone 4S offers 480 minutes of chat on 3G and 200 hours on standby (that compares unfavourably with the iPhone 4, which promised 300 hours on standby). The Samsung Galaxy S2 offers 540 minutes or 576 hours on standby; and the HTC Sensation offers 400 minutes of talk time or 400 hours on standby. Galaxy Nexus vs iPhone 4S vs Galaxy S2 vs HTC Sensation: Which is best? The Galaxy Nexus has two moot points - the camera now looks like a poor relation now that Apple has given the 4S an 8-megapixel snapper. And then there's the price. It looks stupidly expensive, even compared to the premium 4S. As we previously said in our Galaxy S2 vs Sensation head to head, both phones have great merit and what's more they are also available on some really decent tariffs - free around the £30-35 a month mark. If you want an Android handset and you're not desparate for Ice Cream Sandwich, then the S2 remains our pick. The screen is absolutely stunning and it's a fine choice. The Sensation is slightly cheaper and is still a great choice - the design is better too. Apple's strength is in iOS. There is now some exceptional hardware to go with it of course, but you're always paying a premium for it. That said, its prices don't look too bad compared to the Galaxy Nexus. For us, the Galaxy Nexus is an expensive option and, screen size and OS aside, doesn't offer enough over its Android rivals here - especially as we'll most likely see Android 4.0 roll out to high-end handsets such as these. It looks a superb handset but my, how you'll pay for it.